Earlier this month, 20 people were killed when a stretch limousine barreled through a stop sign and crashed into two others celebrating a family wedding. In the subsequent investigation by the National Transportation Safety Board (“NTSB”), Nauman Hussain, the operator of the limousine company that provided the limo involved in the crash, was charged in the state of New York with criminally negligent homicide. Mr. Hussain has pleaded not guilty. News reports confirm the limo had failed numerous safety inspections. The owner of the limo company had prior legal problems. 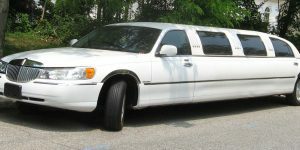 The excursion limo had been listed for sale on Craig’s list for $9,000 two days before the collision. Occupants of the limo were texting family members about problems during the ride. In the wake of the collision, officials are now calling for immediate inspection of stretch limousines. Another important issue concerns the structural integrity of the vehicles themselves. Factory built limousines must meet stringent safety regulations. But luxury cars converted to limos, like the one in last week’s crash, often lack such safety components as side impact air bags, reinforced rollover protection bars and accessible emergency exists. There are few federal regulations governing limos modified after leaving the factory. Regulations often vary state-by-state. In 2015, the Chairman of the NTSB said “relatively little information is available about how stretch limos perform in a variety of crash scenarios.